While I was writing up this post, my ever-vigilant dogs suddenly roused themselves from a sound sleep to bark and snarl and hurl themselves at the french doors that look out on the back yard. Assuming such behavior could only mean an invasion of some type, I went to investigate. Was the bear up from his long winter’s nap? Had a pack of hungry coyotes dared to breech The Perimeter? Were we being attacked by giant meatball-headed spaghetti people from Mars? I did not let them out. 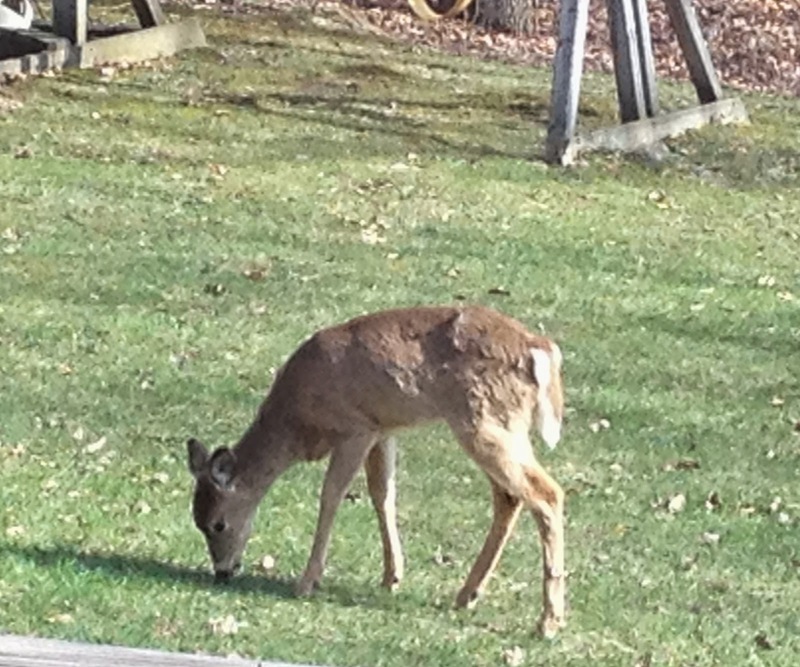 I figured this little miss could use some green grass after the long winter. So she snacked and the Protectresses sulked and I went back to writing this post. Why I Like This Book: I always love new twists on familiar stories. Judy Sierra has taken Old MacDonald to a whole new level. 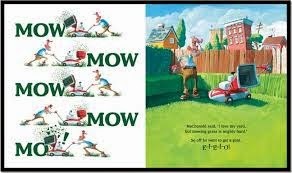 The story is humorous (and so is the art – be sure to read the hen’s diplomas and all the picket signs :)) and young readers will learn about composting and growing a garden right along with Old MacDonald. 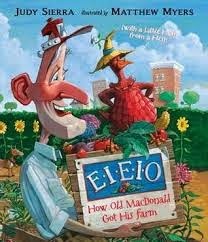 This is a great story for spring, and a wonderfully fun way to introduce kids to the concept of green farming. PPBF peeps, please leave your post-specific links in the list below so we can all come see what fabulous books you’ve chosen this week! And to all who celebrate, Happy Easter and a belated Happy Passover. Reviewed this a while back and just love it.